This Celtic cross is made in the USA. 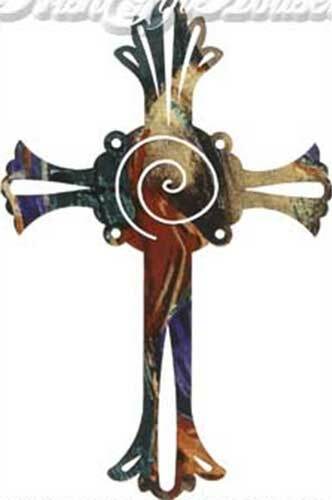 This metal Celtic cross features a multi-colored spiral design and measures 12” wide x 18” tall. The large Celtic cross is ready to hang on your wall and is boxed with spiral and Celtic cross history cards, complements of The Irish Gift House.